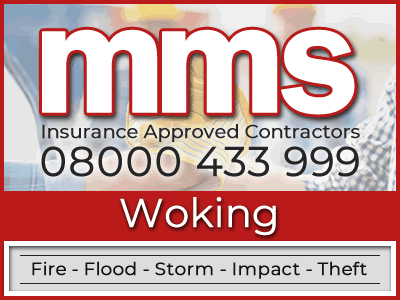 Welcome to MMS Fire and Flood Restoration Woking. We are a nationwide Fire and Flood Restoration Company. When your property suffers from the effects of fire or flood damage, we have specialists in the Woking area that are here to help. We offer a the complete service from property restoration to help with fire and flood insurance claims. 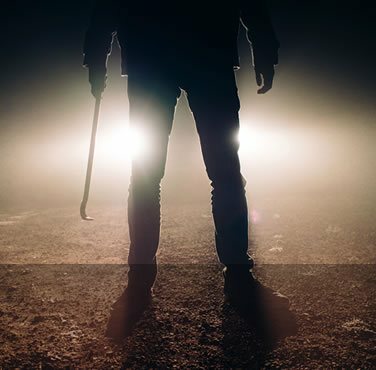 Through Acquiring not only experience within the restoration industry but knowledge, we believe that reaction time is vital to prevent further damage to your property. We can appoint a specialist restoration team on site within 4 hours of your initial aproval to use our services. All builders on the MMS Building Contractor Network understand the strains that effect your everyday life when your property has been damaged by a fire or flood. As specialists we will be as efficient as possible by taking the burden off you by effectively and efficiently being there for the whole repair process from start to finish. We aim to do this in as minimal time possible whist ensuring any work carried out is completed to the highest standards. We know just how competitive the restoration industry is so to stand out above the rest we offer an extra service which will benefit you throughout process. We have recently welcomed a new and exciting working relationship with one of the UK’s leading independent loss adjusting firms. 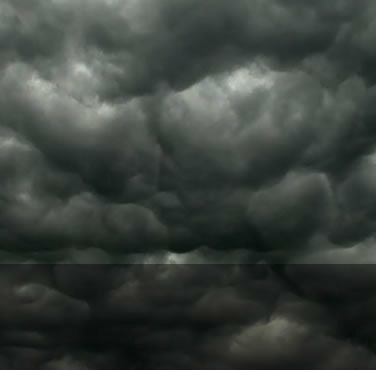 This allows us to offer expert advice and assistance in regards to your property insurance claim and in most cases we can put you in touch with a company that will even offer you a free loss adjusting service that will ensure that you receive all that you are entitled to within your insurance policy. 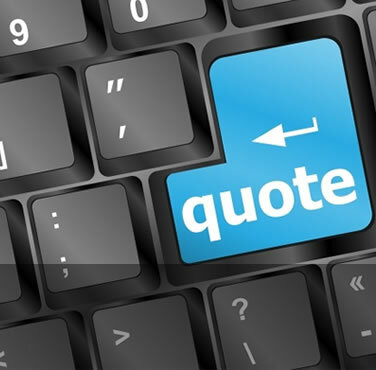 Need a Quote From Our Insurance Approved Builders in Woking ? Has your insurer asked you to obtain a builders estimate? MMS are not general builders simply because we only work as an insurance approved building company who only repair homes or businesses that have been damaged by flooding, fire, escape of water or theft. Call us today on 08000 433 999 to receive a building repair quote from our insurance approved builders. Alternatively, you can contact us by answering a few questions via our request a quote form. The danger that is associated with flood damage is one that needs to be treated with complete professionalism and by the most experience of property restorers. MMS Building Contractor Network believe we can offer just that. With a team of flood and water damage specialists based in and around the Woking area we can be on site within hours of your initial contact with us, this is just one of the many advantages of using our Woking flood restoration services. If we believe that utilising staff from outside of the area who may be more qualified then we will not hesitate to do this at no extra cost to you. Depending on how long the water has been standing or where the water originated from are just some of the many factors a flood restoration expert needs to consider. Many people do not realise is that standing water from a flood or water leak can often contain micro-organisms which are extremely harmful to yourself and others. This problem will only increase over time if left untreated. Many flood damage victims may need to consider vacating their property and as long as you are covered within your insurance policy then we can arrange with your insurer on your behalf. 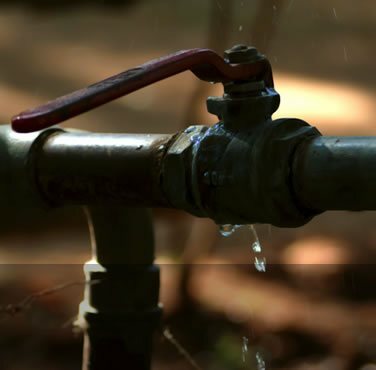 MMS Building Contractor Network use the latest leak detection equipment and are able to determine any none immediately visible areas of your property could be effected, this is vital as we examine all areas of your property that may have been compromised, this is crucial to preventing any further damage recurrences. 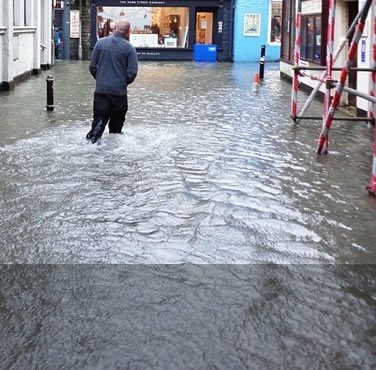 To learn in more detail about our flood restoration services then please visit the link below or alternatively call our nationwide 24 hour helpline on 08000 433 999. Our friendly and helpful staff will be able to offer you help and advice. Through restoring properties that have been devastated by the effects of a fire, MMS Building Contractor Network have established that there is always one common denominator. Every property needs the upmost care and attention therefore we aim to treat your property with exactly that. 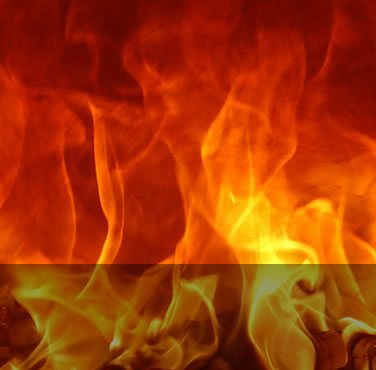 Fire damage is painstakingly difficult to restore as there are numerous added considerations to take into account such as smoke damage and water damage as a result of the fire being extinguished. Be assured that our expert teams of property repair professionals have encountered and restored many property's in these situations. They know exactly what is expected of them to compete the job in the most efficient way possible. On initial contact from you through our national helpline we will assign you with a specific liaison personnel to guide you through your options and next steps. Once we have determined which is the best strategy we can appoint locally vetted tradesman to your address to secure your property. The main benefits of taking advantage of this service is an insurance apointed loss adjuster may not be fully experienced with this type of damage. They may in fact may be costing up repair work based on set prices set by your insurer which could be lower that is actully needed to complete repairs to an acceptable standard. Our prefered loss adjusters are fully experienced to deal with fire and flood effected properties and will ensure that your settlement cover everything you are entitle to, No more - No Less. Acting as your personal representative we will use all of our experience and knowledge in the insurance industry to work in your best interests. As you may know the insurance provider fail to keep up their level of customer service once you have submitted an application to make a claim, subjecting you to question after irrelevant question to determine what and if you are eligible to receive what your should be entitled to. At MMS Building Contractor Network we believe this is becoming an unavoidable problem when submitting a claim and should be irradiated completely but until such time we will do our upmost to make sure you receive exactly what you are owed under the terms and conditions of your contract.